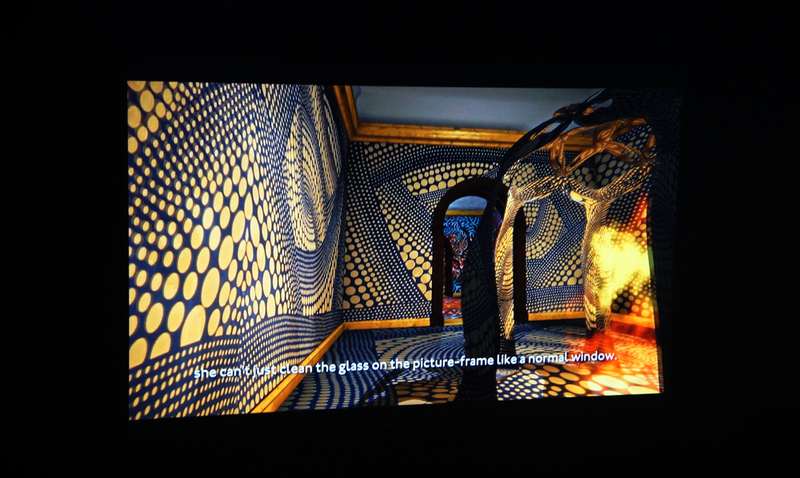 HD video, color, sound, 18' 10"
Utilizzando software per lo sviluppo dei videogiochi, l'artista immagina un futuro prossimo in cui la Royal Academy of Arts londinese è diventata una proprietà privata di lusso. 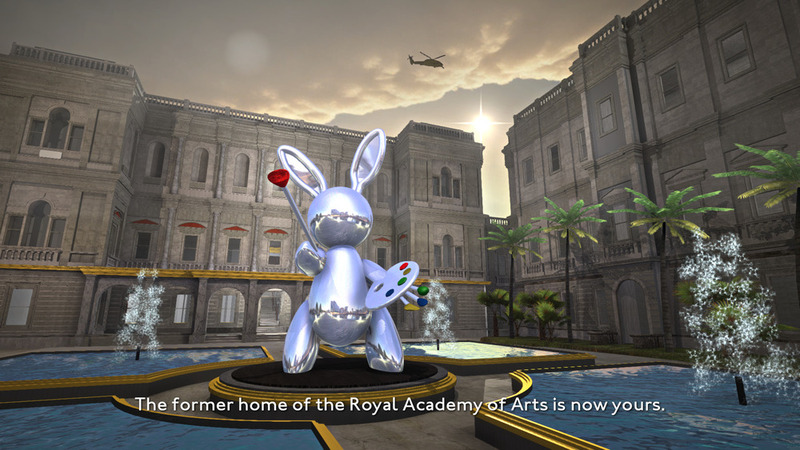 Using videogame technology, the artist imagines a near future in which the Royal Academy of Arts in London has become a privately owned luxury estate. Lawrence Lek (b. Frankfurt, 1982) explores the uncanny experience of simulated presence through hardware, software, installation, and performance. His interactive virtual environments have been presented in countries including Australia, Hungary and China and his work has been hosted by the V&A, SPACE, Barbican, Art Licks, the Delfina Foundation, and he is currently a resident artist at The White Building in Hackney Wick. 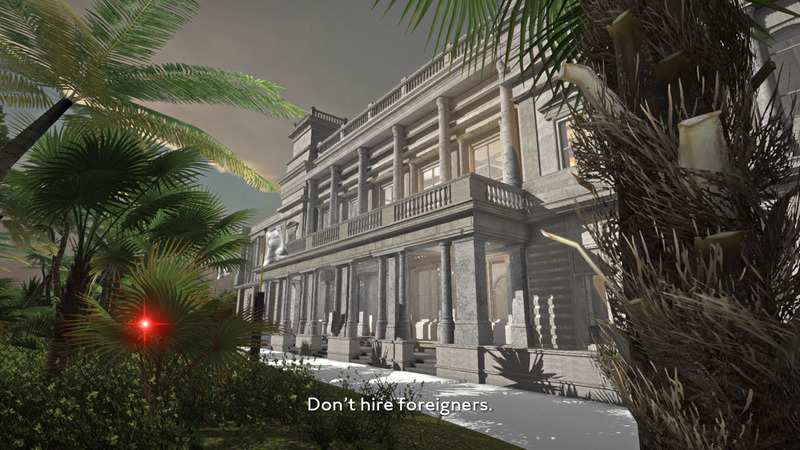 This virtual simulation of the Royal Academy, based on surveyors’ drawings as well as found text from Russian Tatler (translated into Mandarin and subtitled in English), invites the participant to a multilingual conjuring of the building’s potential future as repurposed by high-end estate agents. Lek lives and works in London. Nato a Francoforte sul Meno nel 1982, Lawrence Lek indaga gli effetti perturbanti dell’esperienza simulata attraverso differenti media, tra cui hardware, software, installazioni e performance. I suoi ambienti virtuali interattivi sono stati presentati in mostre ed eventi organizzati in Australia, Ungheria e Cina. A Londra, le sue opere sono state esposte al Victoria & Albert Museum, SPACE, Barbican, Art Licks e Delfina Foundation. Lek ha svolto una residenza presso il The White Building in Hackney Wick, a Londra. La simulazione virtuale della Royal Academy, basata sui documenti del geometra nonché sui testi ritrovati in Russia (tradotti in mandarino e sottotitolati in inglese), sollecitano i visitatori a esplorare un tempio dell'arte re-immaginato per pochi eletti. Lek vive e lavora a Londra.